1 What is the Definition of Outsourcing? 3 Why government emphasizing much on outsourcing and encourages the youth to become a freelancer? 4 Why people especially youth are paying much interest in it? 6 How to become a successful and much-skilled freelancer or outsourced? 7 How to choose suitable work or job from the different marketplace? 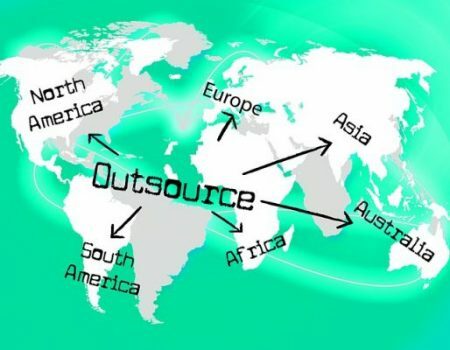 What is the Definition of Outsourcing? Before designate ways of outsourcing from Bangladesh, we should focus on the definition of Outsourcing. According to American Glossary, the word “outsourcing” means “outside resourcing”. From this concept, we can easily define outsourcing as the contracting out of a business process. Outsourcing is the process where many business firms or companies hire an employee for completing their business related work or functions and pays enough money. Outsourcing can be both domestic and foreign contracting. Sometimes it is offshoring or near-shoring. But the business firms usually prefer to contract with the distant countries employee because it reduces their certain cost. And it is a great motivation for the people of offshoring or distant country because of the get many wages compared with their native countries jobs salary. Outsourcing or freelancing is beneficial for both the business firms and the employee. Bangladeshi people are introduced to outsourcing or freelancing in the 21st century. And it gets much popularity within a short period of time. And now people of all ages male and female are paying much interest in it. Because in this sector, people are getting more success than any other jobs in our country. There has a great reason behind the popularity of outsourcing and the reason is, the difference in currency value between the foreign country and a developing country like Bangladesh. It not only gets popularity in our country but also spread rapidly in many countries of Asia. Foreign business companies are getting their work completed from us at a low cost which is greater than any other local jobs salary in our country. Almost 2 lacs of Bangladeshi people are doing outsourcing job in the different marketplace. But only a few people are doing this job professionally and only this people have the clear knowledge about outsourcing and the other have a very little knowledge about it. Why government emphasizing much on outsourcing and encourages the youth to become a freelancer? Bangladesh is a developing country as we know. And the main hindrance of the way to be a developed country is poverty. And we face poverty for the unemployment problem. The government has taken the project of “Education for all”. And the government get much success in this project by ensuring education for all people especially, in rural people. But the job scope of this country is very poor. So, the government fails to provide jobs for all educated people. So, the unemployment problem is growing day by day. So, the government emphasizing much on outsourcing because it ensures job opportunity for educated people and young generation. And for reducing unemployment problem job for all it must be needed. As it is a great scope for getting a suitable job and also beneficial for the national economy, so the government have already taken many steps to introduce outsourcing to youth. To train up the people to become a freelancer, the government created many training institutes around the country. But the number of freelancers is greater in cities people than the rural people of Bangladesh. So, the government created many training centers in the urban area. This is how the government created much scope for getting the job in outsourcing marketplace and generate money. In past, people got depressed for not getting a suitable job after completing their graduation. But now anyone even a student can also perform an outsourcing job if he has a good knowledge of outsourcing. Nowadays, it’s getting much easier to find an outsourcing training center because you will see many training centers here and there around you. But it’s quite difficult to find a good training center among all of them. Because many trainers don’t have enough knowledge about outsourcing then how can he teach others? And there are also many dishonest people who take the advantages of the people’s curiosity about outsourcing and spread wrong thinking about it and cheat people. The government has boarded the way of learning outsourcing to work outsourcing job. So, it depends on you to choose a good institute to learn about it. Otherwise, you won’t get success in it. Why people especially youth are paying much interest in it? People of all ages can do this outsourcing job but it is best suited for youth. As there is no fixed time to do freelancing so, a student can easily do this job besides his education and can generate money. There is no fixed time but have a specific time for completing the work. Doing this job also increases his/her confident that they can do any kind of job professionally. There are two types of outsourcing job: part time and full time. You can choose any type of job according to your available time. It is the greatly beneficial job for all students because they can do this without hampering their study. As every skilled person can do this job and generate money so it is much beneficial for women because it is a home-based work. If a student wants to do this then nothing to worry about because she can easily do this work without hampering her study. And outsourcing jobs provide a great benefit to all that anyone can choose his working hour according to one’s willing time or free time. And this benefit is the most beneficial for housewives because they can do the work in their free time. Though Bangladesh is developing day by day and the government created much job opportunity for women but at present time it becomes very unsafe for women to work outside the home. And the safety security for women is also very poor. So, many women who have the ability to do a good job don’t work outside of the home because of the safety fear. So, outsourcing jobs are best suited for those women who are already skilled. How to become a successful and much-skilled freelancer or outsourced? For achieving success in any sector one must need a strong willing power and hard work. Success in outsourcing is not apart from it. If a person wants to gain success from outsourcing then he/she must work hard and practice it more. We all are very familiar with this proverb that “practice makes a man perfect”. Without practicing the hope for success is totally foolish matter. If you want to earn from outsourcing jobs and improve your skill then you must practice it with passion. If you don’t have the willing power to practice more or work hard then you will face failure in this sector or you will face many problems in the time of completing or doing a work or even you will not get the job because of your weak skill. So, everyone must work hard or practice it with passion if he/she want to do freelancing and get success. Working hard or practicing more doesn’t mean you have to practice all day long it means you have to practice it every day for a certain period of time. And if you are ready to practice it every day then there will be no obstacle in the way of success. So, the only way to become a successful and skilled freelancer is practicing it every day for a certain period of time. How to choose suitable work or job from the different marketplace? You can also earn from your photo and video by doing SMM (Social Media Marketing). And at present time the most popular work is Amazon Affiliate Marketing from which you can earn money by selling product from your website. When you will be able to sell an Amazon product from your site, you will get the commission. From all this job category, you can choose a job which will you prefer most. But the most important thing is- for applying in any job category you must need a good skill at that subject and a confident for doing that job otherwise you will fall to complete the job or task. So, the main thing is- if you are skilled or have enough knowledge about a specific subject of outsourcing then you will surely earn huge money. As I told before, the scope for learning about outsourcing is huge. And the government also encourages the youth to do outsourcing job. So, you may see many public and private outsourcing training center or institute. And so, the possibility of choosing a wrong training center is huge. So, before choosing any training center one must be very careful. And many people are spreading the wrong concept about freelancing by saying that one can earn huge money just when they started the course. It’s true that you can earn huge money from outsourcing job but before you should practice more to build up your skill. Because without a good skill, it’s quite tough to get a job not only in outsourcing marketplace but also everywhere. As much you practice, as soon you can achieve more. And the most significant matter about freelancing job is- the job of outsourcing marketplace is not so tough, anyone can do this if he/she has a strong willing power. The ways or scope of learning to outsource is increasing rapidly. So, if you want to earn money by doing a job at home then freelancing is the best option for you. Old or young, male or female everyone is doing outsourcing job because of the popularity and success of this sector. Bangladesh, a country of natural beauty and tradition which has a greater possibility to develop but one of the most negative factors coming in its way of development is unemployment. Unemployment is the curse; if it’s destroying the talented and creative people of our country. We need a way to overcome this problem and outsourcing from Bangladesh could be the best possible solution this problem. Outsourcing is an easy way to earn money sitting at home, and it is the open source of employment. As we don’t have so much job opportunity, we can take outsourcing as a profession even after completing our graduation. It doesn’t mean that only younger are eligible for outsourcing, people of all ages from young to old can take outsourcing as an occupation. One must know the essential thing about outsourcing before the starting of it. Basic computer knowledge, an Internet connection, and web browsing experience are the primary requirements for outsourcing. Only these are not enough for starting outsourcing; there is some other essential information that one must know. To know these, information one can take the help of different training center. There are many outsourcing training centers in Bangladesh, and anyone can get training from there. In fact, one will get the best outsourcing training center in Dhaka Bangladesh. To find out the best SEO training center in Dhaka one can get training in Advance IT Center and can know about the best training center. One of the best training center in Dhaka because it has all the materials that needed for outsourcing. It provides lifetime support to their students who are related to their course, and one can get 24 hours online help from this center. It also teaches its students from opening accounts at different outsourcing companies and contributes to getting a job, and it also provides jobs during the training period. Moreover, it helps you to get the master card in your name which is the most critical part of outsourcing. Different outsourcing companies like Upwork.com, freelancer.com, Fiverr.com, Peopleperhour.com are offering many jobs and before starting applying for jobs, one should know about the jobs. From online earning training center, one can learn how to do these jobs. Online earning training in Dhaka Bangladesh is getting the current and good response from people. From online training center, one can learn web designing, web developing, SEO and different types of works which are very demand-able jobs in outsourcing companies. These training’s help people to take outsourcing as a profession and earn more & more money. The trainers in ADVANCE IT CENTER provides you the best opportunity to get the more upwork job. Some difficulties exist in the online outsourcing Sector. Internet Marketers and Honorable government also doing great on this issue that how to Solve the Biggest Problems With Outsourcing. To be free one can do outsourcing jobs and day by day this situation becoming popular with people. Outsourcing process can enhance the employment source and reduce the poverty line to a minimum level. Outsourcing opens the door of great opportunity and possibility, help people to get over from the curse of unemployment. This job is secure, and anyone can do it. If people take outsourcing seriously, it could be a significant sector of employment. Outsourcing is not a single phenomenon. It is used as a multidimensional concept and includes online outsourcing. Online outsourcing is a form of internet-based outsourcing. Outsourcing is the process of work when all the work, tasks and projects transfer to a third party. However, in Bangladesh, it has some limitations in conducting the activities independently. This industry rising day by day, but proper infrastructure development is not being implemented for boosting up this sector. In spite of various limitations, it is a pleasure that our present government has taken different initiatives to patronize the industry as vital foreign currency earning sector like as garments sector. In last decade’s ready-made garments was the highest foreign currency earning sector in Bangladesh. But due to some incidents, this sector is facing downturn problem and internationally, it’s claimed as a problematic sector right now. However, outsourcing is considered the rising sector at present and IT experts also said the prospect of this sector. Regarding this concept different projects are being conducted in rural to urban areas to reduce the infrastructure limitations of ICT (Information and Communication Technology). 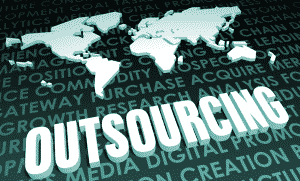 Outsourcing has various options such as IT outsourcing, marketing outsourcing, service outsourcing, financial outsourcing, etc. Among all of this outsourcing, IT outsourcing has been mostly spread in Bangladesh and it has a wider market of earning foreign currency. Presently, freelancing becomes a new dimension of a source of earning in Bangladesh from rural areas to urban areas. Bangladesh is a small country and also has infrastructure limitations in various sectors. However, besides this limitation, it has also reached a stage of achievement gradually. The freelance sector also facing severe infrastructure problems, but it is a pleasure that beyond of all hurdles and problems, our IT freelancers got acclaimed internationally last few years. It is a positive insight for outsourcing market as a rising sector. In the world, some specific regions like in Asia, India, and China are dominating the Freelancing market. Besides these two countries, Srilanka and Philippines have also a vital role in the market as well as Bangladesh is also doing well but not in the level of international expectations. To cope with the international market, it needs to have extraordinary job skills and educational enhancement that helps to make them as an international competitor. But to Bangladeshi freelancers, that level of extraordinary job skills and educational enhancement is fewer exhibited so that our outsourcing industry is still a latent and immature stage. When any industry takes place to enrichment in an expected level, government and other private sector companies should make an influential role to rise up the industry so that child industry can easily establish their business as the level of mature industry for international competition. In Bangladesh, IT outsourcing is a fast growing industry, it should proper nurturing and patronizing. But still, this industry is in an immature stage to compete with the international market. However, this scenario is being promoted in our country as a level of standardization due to the combined steps of skilled freelancers and government. Although this sector is prospective in Bangladesh in lieu of different obligations and limitations, lack of skilled manpower and IT expert, foreign buyers are not being interested in our IT freelancers. Because our freelancers always seek profits, sometimes they do not maintain the quality of the works as well. Time overdue is a usual scenario in our outsourcing market, but foreign buyers are not habituated with this type of etiquette so that foreign buyers searching others market and freelancers who are professional in doing their job and has the highest level of professionalism. An international buyer wants their work will be completed at a high level of professional etiquette and freelancers will honor their own responsibility. The freelancers who maintain the favorable relationship with their buyers, they have never faced a job crisis and other jobs related problem. Nowadays IT outsourcing market is competitive and skillful. Without an international level IT knowledge and education, it’s not possible to cope with the market. If freelancers do not upgrade their own knowledge regularly as a competitor of an international market, they will make them away from the market gradually. But, it is a matter of regret that our freelancers are not upgrading themselves in the level of the international market as well. A few numbers of freelancers who are maintaining their quality and expected level working manners, they are doing well and achieving prominence from the international outsourcing company and are dominating our native market. But these numbers of freelancers are very few. Among all limitations, some indicators are mainly responsible for creating this scenario, such as lack of proper educational background, lack of job-related skills, lack of proper guidelines, lack of high-speed internet facilities and weakness in English communication. Our neighboring country India is a trusted market in because of the skilled freelancers and they also have high-speed internet facilities and are fluent in English so that foreign buyers are interested in hiring the Indian freelancer. But, if we have strong educational background, proper guidelines, high-speed internet facilities, English communication skill and creative mind of IT learning, success is inevitable but it is reality that for being an expert IT freelancer, huge number of educated and talented people are coming to build up their career in IT freelancing; in the middle of the learning they are switching to own academic background related job or government job as a permanent profession and as a result they are not continuing their freelancing profession because of professional business. When one person makes their mind in two components, cent percent accuracy does not come from him. So, our outsourcing market is a two-minded phenomenon, some talented people are coming to rising the sector, but most of them are not staying for good; others who are doing freelancing they are not skilled in the expected level of IT knowledge as a result after a certain period they are going through a job crisis and facing different job-related problems that hampering the outsourcing market. In Bangladesh, all problems and limitations relating outsourcing, internet speed is a vital problem. To continue the outsourcing work and maintain regular communication with the international buyers, the availability of the internet is highly needed, but our internet speed is unexpectedly slow and expensive also. However, we should keep it in mind that prerequisite of outsourcing is the flexibility of internet connection and charges of the internet. As a vision of digital Bangladesh, our government has taken different initiatives to ensure fair price connectivity of the internet. It has already been declared that by 2021, internet connectivity will be reached at all corners of the country and in rural area schools and other educational institutions will be in the coverage of free access of internet so that future generation can easily habituate with the international information technology. To promote the ICT (Information and Communication Technology), government A2I project and Hi-Tech Park Project are conducting various training and workshop from rural areas to urban areas to skill enhancement of the educated young. Besides, Bangladesh Computer Council (BCC) has taken a graduate skill enhancement project named Leveraging ICT Project, its goal to train up the graduates to the international category and after completing the training period they will be recruited in different IT firm and who wants to be an IT entrepreneur, the government will provide them long to establish their IT business. Besides government initiatives relating to promoting IT freelancer as well as outsourcing market, some private training institutions and organizations are conducting various training sessions and live IT project that helps the freelancer to learn the reality of the outsourcing market. Depending on various outsourcing training in Bangladesh, freelancers are being skilled and confident in completing the buyer’s assigned job and spontaneously fulfilling the job criteria. Among all outsourcing training institute in Bangladesh, Advance IT Institute is playing a vital role to patronize the IT freelancer and arranging various outsourcing training for coping with the international IT outsourcing market so that IT freelancers make them skilled to the marketplace and fluent in doing the respective job. So, it is clear that despite various limitations, our government and related authority are trying to promote the ICT sector which is congenial to IT outsourcing. If the IT knowledge spreads in across the country, educated and talented young will come to build their career in the outsourcing market and they will boost up the market at the expected level because they will take it as a challenge of their life. We know when knowledge, skill, creativity and the proper working environment exist in a sector; the revolution of this sector is inevitable. Our outsourcing sector will be reached at this level very soon by the cooperation of respective authority. As a conscious citizen, along with government, we should have learning mind as well as a proper way of thinking about IT that helps to go ahead our country beyond all limitations of IT outsourcing.